The Festival is proud to induct Aria Hall of Fame inductee, #1 selling Platinum artist and Australian Icon, Russell Morris, to the Parkes Elvis Festival Wall of Fame. To celebrate this acheivement, Russell will be performing an intimate 60 minute performance at Parkes Services Club following the Elvis Wall of Fame event. Shooting to fame in the middle 60’s with Somebody’s Image, Russell had a string of hits including Hush and the Bob Dylan classic Baby Blue. Russell's music is close to the heart of Parkes as in 2001, Morris' "The Real Thing" and "Wings of an Eagle" featured prominently in the Australian-made movie The Dish. 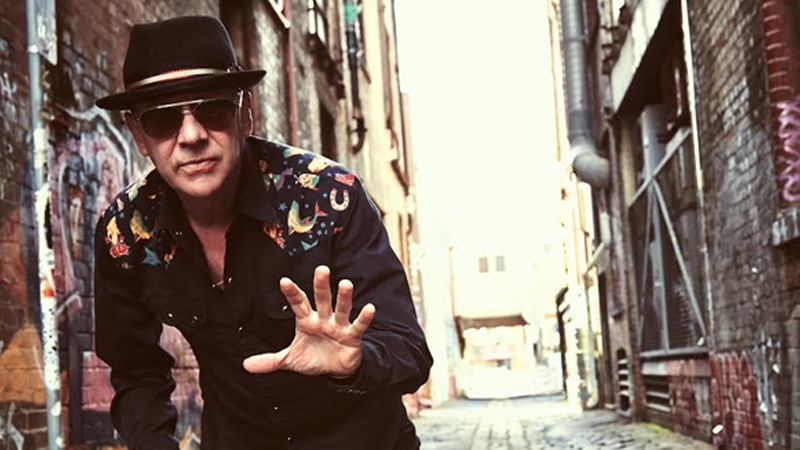 Russell went on to capture the hearts and imagination of Australians in 2012 when he unveiled 'Sharkmouth', the first of a trilogy of albums re-telling some amazing stories in Australia's distant past-some famous, some not so famous-creating a historical document using blues and rock, followed by "Van Diemen's Land" in 2014, this time covering great Australian characters and stories including Breaker Morant, Sandakan, the Eureka Stockade and many more. Russell's appearance at Parkes Elvis Festival is a unique duo show where you will get to witness the man behind the music.